Light up make-up mirrors make it easy to apply makeup without the need for extra room lighting since they are already lighted. Therefore, if your room does not have natural light or you are applying makeup at night, you can use a lighted mirror. A good light up makeup mirror is the one that will meet your needs. Below are some tips to ensure that you get the right one. Lighted mirrors are essential especially in rooms that do not have enough natural lighting or in case you need to apply makeup at night. In some cases, the room lighting may not give the best results when applying makeup such that you may end up with a look that is not perfect in daylight. When looking for a lighted make up mirror, choose the one that will provide lighting that is close to natural light. This can be found in mirrors that use LED lighting although the cool version of fluorescent lighting is close to natural light. The lighting should be bright enough and not dim for the best results. Incandescent bulbs produce too warm light that may not be effective in makeup application. 2. Do you want a mounted or tabletop mirror? You may require a mounted makeup mirror if you do not have enough counter space or there is a high chance of a portable mirror getting broken by kids or busy adults. On the other hand, a tabletop mirror can be moved to find the right spot where it can be used comfortably in the preferred lighting and position. Choose a mirror that will suit your needs and that can be placed where it is the most effective. Do you have enough counter space to place a tabletop mirror? What is the height of your dressers, vanities, for bathroom counters? Will you find a place where it is comfortable to use the mirror? Will you need to twist your neck or head awkwardly so you can use it properly? 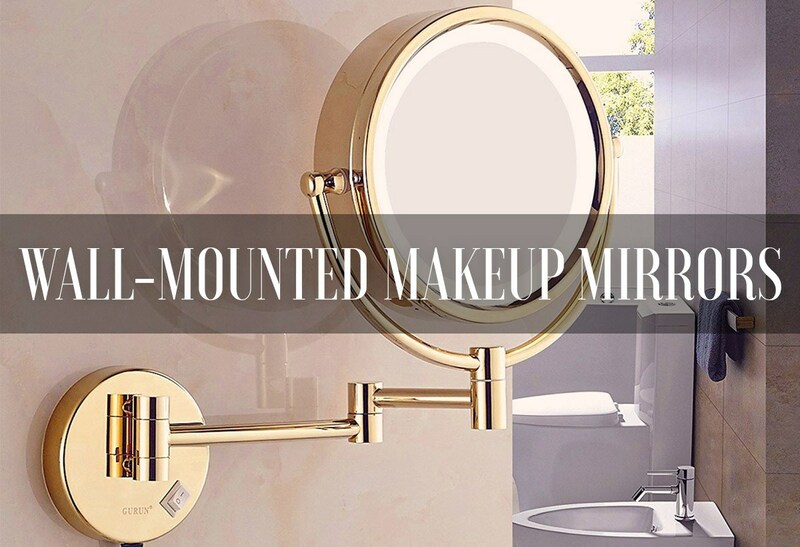 In case you prefer a mounted mirror, do you have a perfect spot where it can be installed? Can it be used comfortably without being an obstruction? Some make-up mirrors have magnification, which helps in exact application of makeup so you can achieve the perfect look since you can see even the slightest detail. However, they require the user to be close enough to get a focused image. There are different degrees of magnification with the most common for those with normal vision being from 3x to 5x although the choice depends on personal preference. Those with poor vision can use 10x or 15x magnification, although these can be too strong and may require you to be very close to mirror to prevent distortion. You may also find makeup mirrors that have 2 sides, one that is magnified and the other non-magnified. You do not want to buy a mirror today that will break tomorrow. 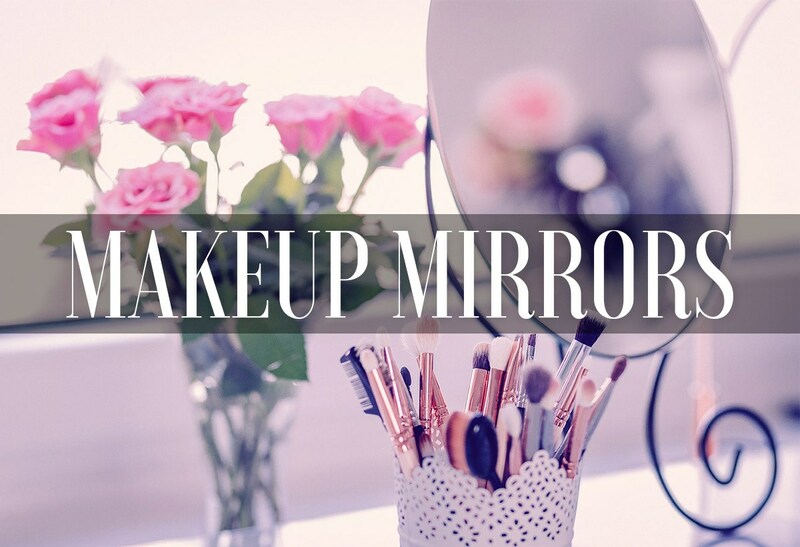 Look for makeup mirrors that are made of high-quality materials. For instance, the body of the mounted mirror should not break easily; the light bulbs should last longer and not need to be replaced often, and the mirror should not break easily. A durable mirror can serve you for long. If you search, you are sure to find a best rated lighted makeup mirror to meet your needs. Quality comes at a cost and so you should be prepared to part with some cash if you want a good high-quality makeup mirror, with a great design and built to last. Nice blog post! I frequently choose 7 – 10x magnifying, That’s sufficient to me.